Our activities in this space span a very large spectrum. From construction of bridges, ports, and roads, architectural services, Industrial Plants and Installations, Civil Works, Offshore Oil and Gas Installations Engineering, Fabrication and Construction, Industrial Chimneys and Refractory Linings to Interior Design, Decoration and Woodwork Fabrication. Actives in the arena include: Drilling (Oil, Gas, and Water Wells), Pumping Services, Tubular Running Services, Process and Pipeline Services, Corrosion Prevention Products and Services, Pipeline Cleaning and Maintenance Products, Well Control, Engineering, Consultancy and Specialised Personnel Services. 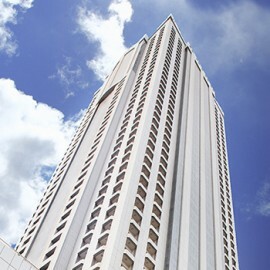 The $93.3m, 46-storey high-rise tower, the tallest building in the Eastern Province of Saudi Arabia, has been launched by Al-Suwaiket. With our years of experience, unparalleled connections and influence in the region, we are a strategic partner to several multinational firms in the GCC. The family of Shaikh Mubarak Bin Abdullah Suwaiket from Saudi Arabia won the distinguished family award for working in the field of relief. 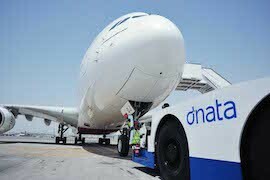 Dnata Travel has recently been recognised as the second fastest growing company in the Kingdom of Saudi Arabia over the last year in the annual Saudi Fast Growth 100 list. During a recent meeting to mark the accomplishment, His Highness Sheikh Ahmed Bin Saeed al Maktoum, Chairman and Chief Executive, Emirates Airline and Group, received the award from Dnata Travel’s partner in KSA, His Highness Sheikh Mubarak Abdullah Al Suwaiket. We also have divisions in Travel and Tourism, with our partnership with DNATA, education through the International Programs School on our compound grounds and Real Estate, including the Dhahran Tower, the tallest building in the Eastern Province.